While serving the mission of Henderson, Texas, The Reverend Edward Marohn explored the mission possibilities of Palestine, Texas. For several months, services were held in the courtroom of the Anderson County Courthouse. On January 10, 1942, the first service was held in the Jewish Synagogue located on the corner of South Magnolia and Dallas Streets. On the first anniversary in 1943, the congregation numbered 30 communicants and approximately 50 souls! Bethlehem in Palestine may be the only congregation in the synod to have ever used a synagogue as a house of worship, but that is where the congregation worshiped until 1947, when a surplus Army Chapel was obtained by the congregation. On September 15, 1943, Pastor Marohn accepted a call to the military chaplaincy. On December 12, 1943, The Reverend Hugo Hannusch was ordained and commissioned as Missionary-at-large to the Palestine area. 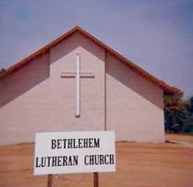 The congregation received its Charter of incorporation as Bethlehem Lutheran Church on December 4, 1945. 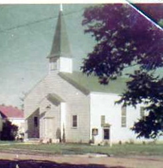 The Congregation was accepted into membership of the Lutheran Church - Missouri Synod on April 23, 1946. The Charter members included Mr. Henry Dupont, President; Mr. J.W. Gruetzner, Vice-President; Mr. Edwin Schwegler, Secretary/Treasurer; Mr. Charles Brenner; Mr. O.F. Meeck; Mr. E.A. Pursch; Mr. Erwin Schwegler; Mr. Luke Wagner; Mr. Frank Gerken; Mr. Walter Kaudelka; Mr. August Koehne; and Pastor Hugo Hannusch. Pastor Hannusch accepted a call to Dallas in 1953. Rev. Robert T. Kunz served from 1954 to 1958, accepting a call to West Knoxville, Tennessee. Rev. James M. Gruetzner was installed in 1959 and served until 1964, going to Washington, Michigan. Rev. Lenhart E. Etzel was installed in 1965. On January 9, 1966, a new Baldwin organ was dedicated. In 1967, Pastor Etzel took a call to Illinois. Rev. I. Melvin Newman, Jr. accepted a Divine Call and was installed August 3, 1980, and served the congregation for nine years, as well as serving as Circuit Counselor. The Pre-School and Day-Care Center continued to flourish, rated as one of the finest child care facilities in the area. It met the needs of many young working people for 17 years. Pastor Mel, as he was known to the congregation, accepted a call to Katy, Texas in July, 1989. 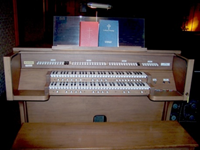 A Hammond Organ was installed in 1989. In June of 1989, the congregation numbered 228 communicants and 329 baptized souls! Rev. Paul Donald Neumann was installed February 4, 1990. He served both Bethlehem, in Palestine, and Christ Lutheran in Jacksonville, until November 15, 1993, when he moved to Allen, Texas. Rev. Paul E. Johnson of Irving, Texas, served as vacancy Pastor for almost three years, from November 21, 1993, until July of 1996. The Pre-School/Day-Care Center was closed in August of 1996. 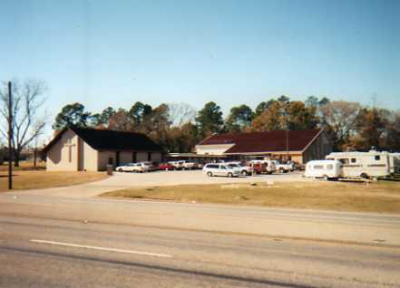 As parking became a growing issue during Pastor Pase's tenure the parking lot was expanded. The main parking lot was effectively doubled in capacity. During 1997 a revised constitution was approved, preliminary plans for church expansion begun, and on December 7, 1997 the church mortgage was burned, signifying the mortgage being paid in full. A Building Committee was appointed to draw up plans to expand Bethlehem's ministry facility. In January 2000, a Capital Campaign Committee was formed to oversee fundraising efforts to raise $350,000 for the building addition and renovations to the existing building with the theme "Rooted in God's Word...We Grow!" from St. Matthew 6:33. Pastor Pase served until August 2000, when he accepted a call to serve Grace Lutheran Church in Midland and departed on August 31, 2000. During the vacancy that followed Pastor Lewis Wunderlich of Bruceville, Texas, served as interim pastor. In July 2001, a Divine Call was issued to Rev. David R. Bergman of Trinity Lutheran Church, Alamogordo, New Mexico. He accepted this Call and was installed as Bethlehem's tenth resident pastor by Texas District Area B Vice-president Pastor Robert Preece on September 30, 2001. Under Pastor Bergman's guidance the Building Committee continued to formulate plans for the proposed building expansion and it was decided to ask Synod's Laborers for Christ program to assist with construction. Hookups for travel trailers were installed on the church parking lot in anticipation of the arrival of the six Laborers for Christ couples assigned to our Bethlehem project. The Laborers for Christ work crew was led by foreman Bill Terrell. The crew included Earl & Marlys Fischer of Marlette, Michigan; Walt & Winnie Kois of Broomfield, Colorado; Donald & Jean Mahnke of Bryan, Texas; Cliff & Pat Olson of Clayton, Delaware; Bill & Nancy Terrill of Acworth, Georgia; and Don & Doris Verseman of Perryville, Missouri. The Commissioning of the Laborers for Christ team took place on Sunday, December 14, 2003. The major exterior work of constructing the new building was finished by February 15, 2004, and was celebrated with a "Stud Signing Party." Having completed this first phase of the new construction the Laborers for Christ crew departed. Since that time members have continued to work on various aspects of the building in anticipation of the completion of the interior. God blessed us with rains, often inside the fellowship hall and kitchen, but the roof was complete, including new shingles on the sanctuary roof, by the middle of May. Installation of the Rodgers was completed in time for Palm Sunday 2006, and dedication recital concerts were given on October 1st by Benjamin Kolodziej; and Pamela Tamburello on November 12th. The old Hammond previously in use was donated to Trinity Lutheran Church in Tyler for use in the satellite mission they have initiated in the Hawkins/Holly Lake Ranch area north of Tyler. In the fall of 2007 Bethlehem's Church Council voted unanimously to finish the new building NOW! The proposal was taken to the church's voters meeting, and passed to take a loan of up to $200,000 with the Church Extension Fund. After months of bids, calculations, and some re-bidding due to a volatile economy, we finally received the OK from CEF to proceed. Loan paperwork was signed, and the push to the end began in earnest in September, 2008. The City of Palestine was gracious to grant Bethlehem a temporary certificate of occupancy July 2, 2009. Vacation Bible School was held in the new building! The building was officially dedicated on October 18th, 2009. Thanks be to God for this accomplishment as we work to the building being completely finished! After being identified as an issue, the church council & the congregation approved a project to expand the narthex of Bethlehem. A working budget of $20,000 was set aside for the project. With the relocation of church offices and Pastor's study; there where areas available to be renovated. Major electrical service within the church had to be moved and relocated. 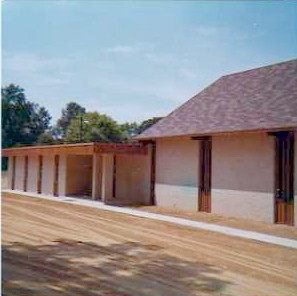 The former church office & mailroom, and approximately half of a former classroom and half of pastor's old study were involved in the new narthex area. The remaining half of the former classroom became the new counting room and is also used for uploading the recordings of the Divine Service to the webpage. The remaining half of pastor's old study became the Music Ministry Office. After the work by the congregation in Luther Hall, this project was confidently completed with "veteran" help in demolition, cleaning, painting and helping! In June 2015, after almost 14 years of ministry here, Pastor Bergman retired and moved to the Waco area. The Reverend David L. Adler, of Elkhart, served as Vacancy Pastor until June of 2016, when the Voters’ Assembly extended him a divine call. He accepted and was installed on August 5, 2016. Under Pastor Adler's leadership, Bethlehem congregation is striving to increase her role in the community, as both salt and light, through outreach and service. It is particularly important in a church that people take a personal responsibility to each other in group Bible study. Such personal responsibility to one another is impossible to be achieved in a worship service. The dynamics of studying God’s Word together and fellowshipping together are important for the continued involvement of every Christian. God works in and through your fellow believers to benefit the Bible students in their participation. I encourage every member (and leaders are expected to set examples) to be faithful in group study of God’s Word. In this way the Body of Christ can mature and grow. Every member needs to be involved in at least one activity within the Body of Christ. There is opportunity to serve in so many ways that most people’s talents and gifts can be used. It is also expected that each member financially support the ministry which is being performed by all the members of the Church. This means an annual “Faith Promise” (a commitment, or pledge) of financial resources that God provides to you so that you can prove the earnestness of your love (2 Corinthians 8 & 9). Offerings and gifts to the Lord ate not optional but are expected of every Christian as the Scriptures clearly indicate. There are examples in Scripture as well as direct demands to be generous and supportive of the Lord’s work. Such offerings are to be sacrificial gifts and provide a means of praising Him for His generous sustenance. Being in fellowship also demands integrity in inter-personal relationships. This means that we reject gossip and slander in our midst. We also hold each other to our Lord’s directives in dealing with any confrontation, differences, or need for discipline that may arise in our spiritual community. Our Communion practice, although different from all Protestants, is consistent with the historic practice of the Christian Church, which has regarded unity in doctrine as a prerequisite for admission to the Sacrament (Eucharist) (“oneness at Communion demonstrates oneness in doctrine”). who have promised to believe, teach and confess all that the church in which they will commune believes, teaches and confesses.